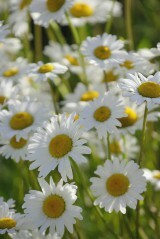 Ox-eye daisy is a familiar and attractive grassland perennial and our largest native member of the daisy family. It has a medium tall un-branched stem topped by a solitary composite flower of white rays (petals) surrounding a yellow disc floret. Once you become familiar with them the basal leaves of Ox-eye daisy are quite distinctive with their toothed spoon shape and long leaf stalks.The rosettes are winter-green. Flowers from May to September. 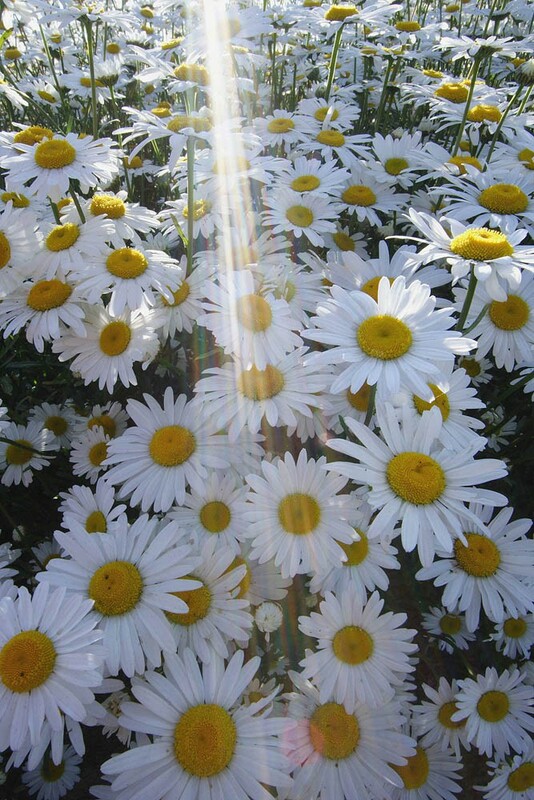 Ox-eye daisy is also known as moon daisy or dog daisy and its old botanical name was Chrysanthemum leucanthemum. Ox-eye daisy is found in meadows and moderately grazed pastures as well as waste ground, railway banks and road verges. It prefers, but is by no means restricted to, well drained, neutral to base rich soils but is absent from wet sites. Ox-eye daisy is limited in its capacity for vegetative spread and so is reliant on seed for regeneration. Whilst it has the capacity to produce many seeds, which can remain viable in the soil for many years, regeneration from seed does require openings in the sward if its seedlings are to be successful. Oxeye daisy readily colonises open and disturbed ground from seed as a pioneer species, but over the long term only persists in established closed vegetation on sites where potentially more dominant species are kept in check either through lack of soil fertility, or following disturbance such as hay cutting and moderate grazing. The open flower heads of Ox-eye daisy attract a large range of pollinating insects particularly bees, butterflies and hoverflies. Oxeye daisy is easily grown from seed sown any time of the year. 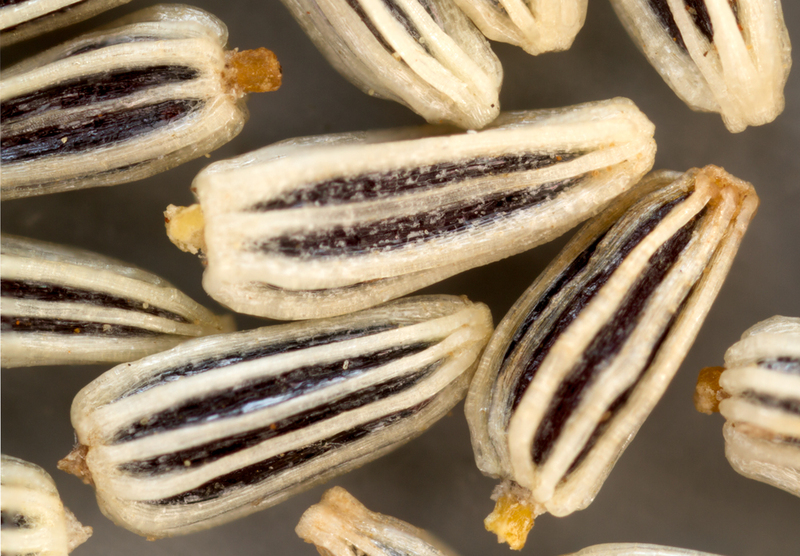 Sown in the open it germinates readily in both spring and autumn. Oxeye daisy is a pioneer species able to grow and mature quickly in to space other slower developing plants have yet to occupy. 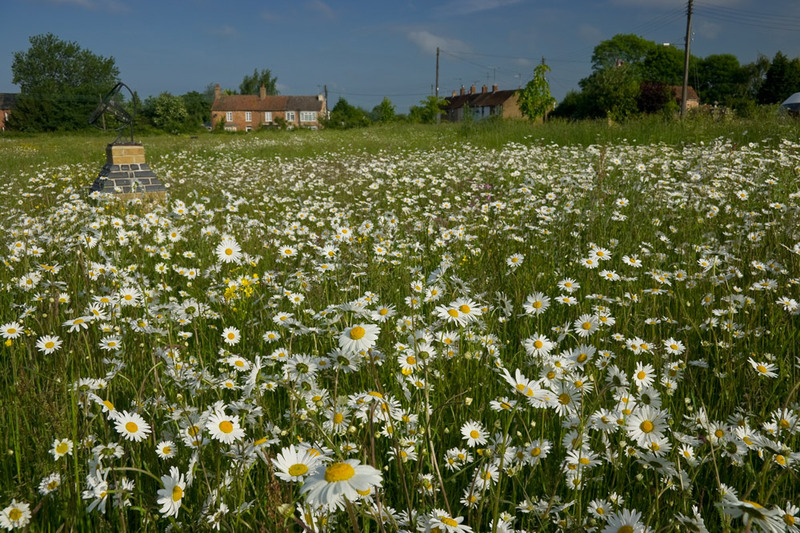 As a result, oxeye daisy is usually the first species in a wild flower mix to flower and can do so quite prolifically, and is often the predominant flower the early years of a newly sown meadow. This apparent early ‘dominance' of oxeye daisy is typically short-lived. Oxeye pays a penalty for its rush to get ahead as its quick-grown plants are not so durable and are relatively short-lived; they tend to fade away over time, often replaced by slower developing more persistent perennials like knapweeds and grasses. You can order any quantity of this species from 1g up to 200g. Please contact us if you require more.